A determination to learn Italian and understand art enabled Claire Sumner ’15 to help one of her professors unravel the mysteries of an old baptistery in Siena this summer. 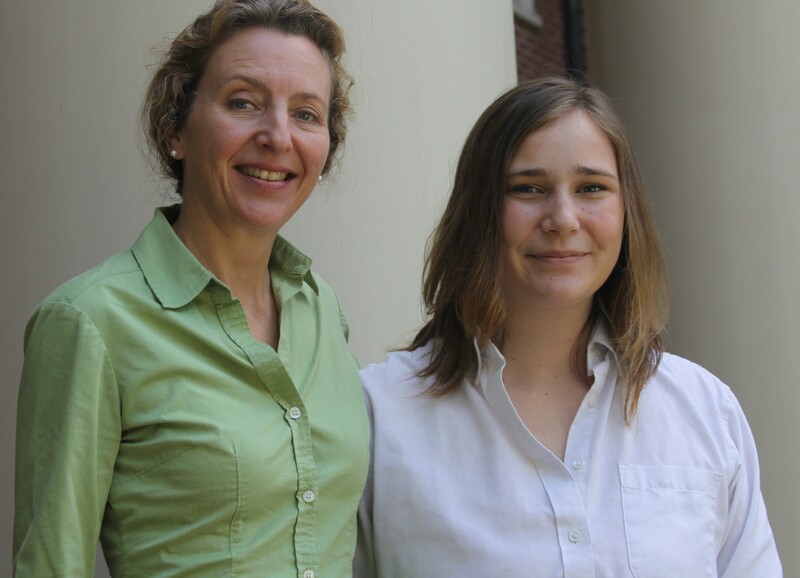 Sumner helped her advisor and Randolph art history professor Andrea Campbell with a Summer Research project studying the baptistery at the cathedral in Siena. Unlike most baptisteries of its day, it is connected to the cathedral—in fact, it is underneath the cathedral. Campbell is writing a book about the baptistery and the frescoes found inside. But it is a rarely studied building, and most of the scholarly work on it is only in Italian. Translating studies of the baptistery from Italian to English was one of Sumner’s main tasks this summer. She also helped find journal articles and other sources to help analyze the frescoes in the baptistery. Campbell initially became interested in the building because of the artist who painted the frescoes, known as Vecchietta or Lorenzo di Pietro. Although he was not one of the famous Renaissance artists, his work provides some interesting context about the time period. “There are lots of artists like Vecchietta who have so much to tell us about the 15th century and 16th century,” Campbell said. “In some ways, they are interesting because they challenge the assumptions we have made as scholars.” For example, the works of minor artists demonstrate that the Renaissance was not always a direct linear progression in artistic style, but that progression was more fluid, she said.